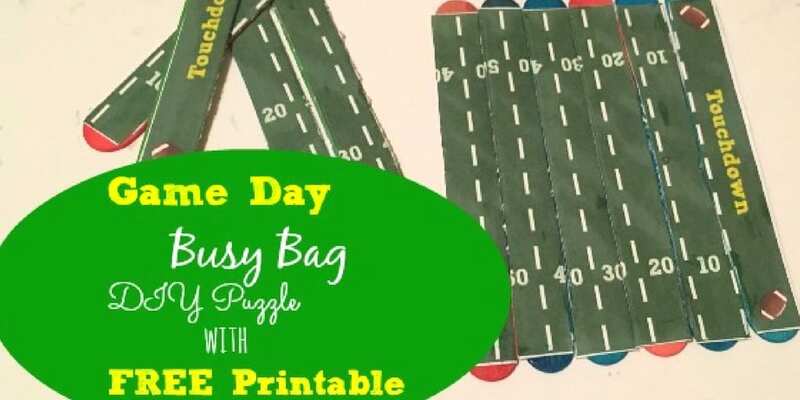 Busy bags are perfect for waiting rooms, church, car rides, quiet time, and more. 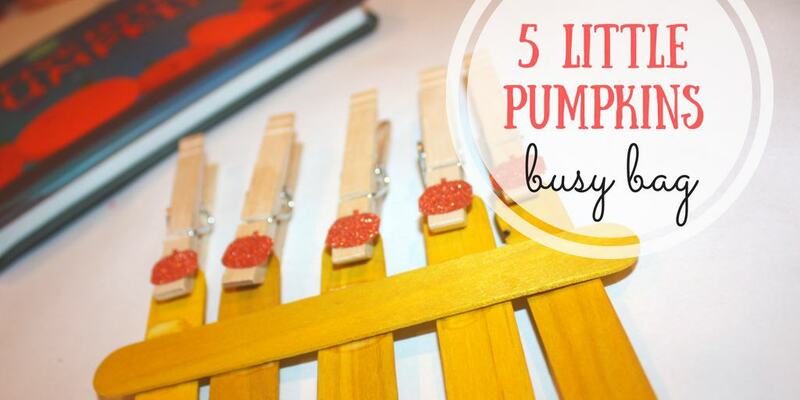 They typically involve some fine motor skills and foster creativity, all while being quite portable and easy to put together. 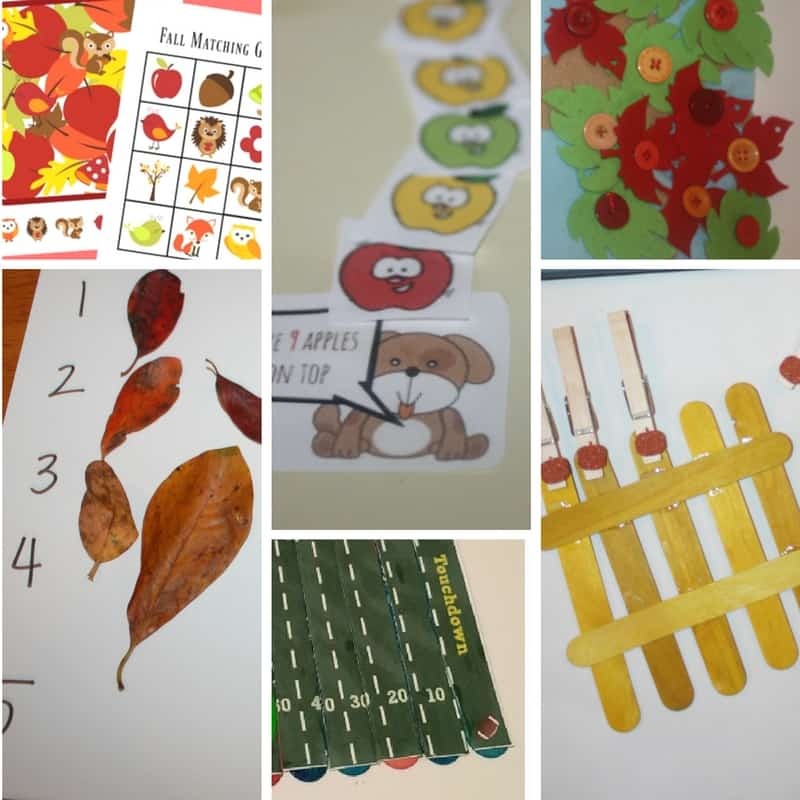 These are most often used with the intent of keeping kids occupied, so you want to make sure they are easy enough for your child to complete independently. 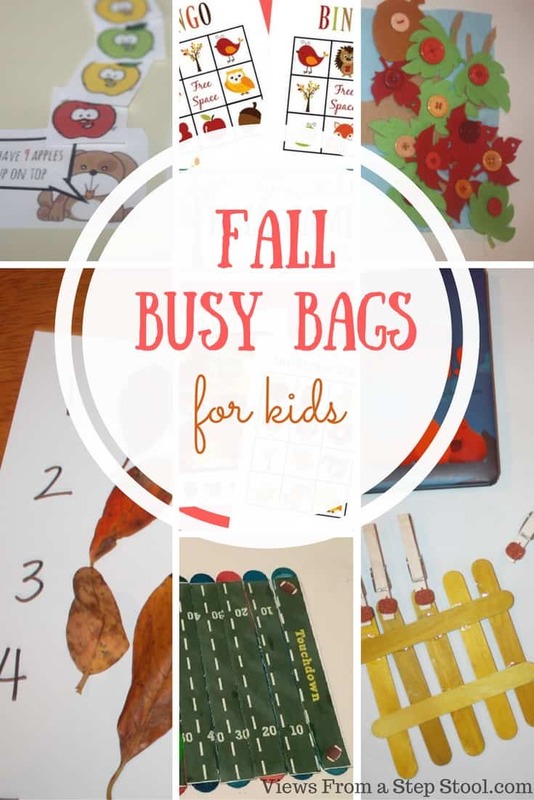 Here are 6 fall busy bags that your kids will love! Once fall is over, make sure to check out these Christmas boredom busters to keep the kids busy! Watch the video below to see a couple of these in action, plus a BONUS busy bag! If a needle and thread intimidate you, don’t let it! Grab a small sewing kit from and weave your needle up and down through the buttons. You will get the hang of it quickly, I promise 😉 This is a really fun way for kids to practice buttoning skills through play. 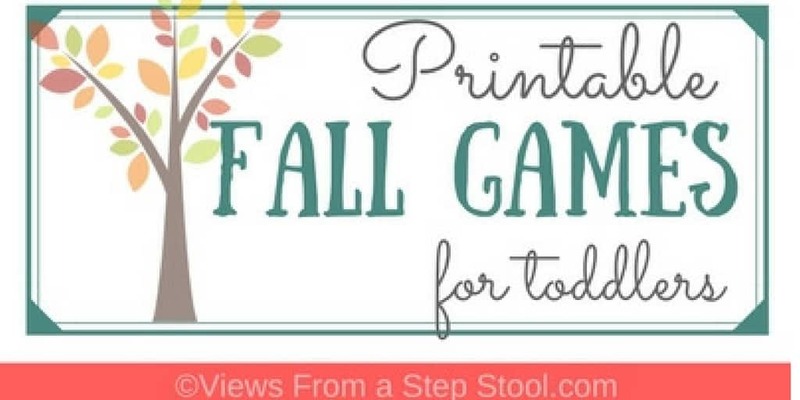 This can be a frustrating task when it is necessary, such as when buttoning pants or a shirt, but this activity removes some of the pressure and simply provides fun. This one can go with the book, Five Little Pumpkins, or on it’s own. 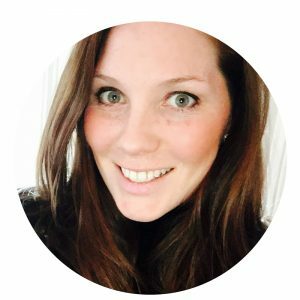 Not sure how to sing the rhyme to your kids without the book? Check it out on YouTube. 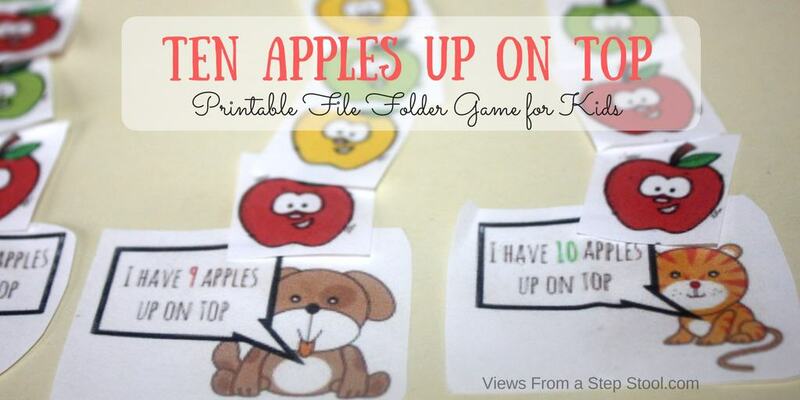 Even without the rhyme, this is a fun clipping fall busy bag that helps with fine motor skills and counting practice. 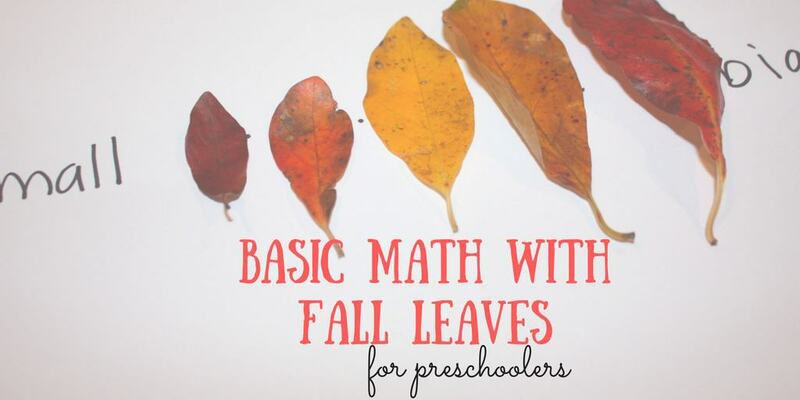 Keep some simple math templates (smallest to biggest, light to dark, counting) in your bag and replenish it with new fall leaves throughout the season! Maybe not technically a busy bag because of it’s size, but file folder games work in all the same places. Print this out and assemble it and throw it in your purse. Trust me, there will be a time that it will come in handy. Did I mention restaurants before? This set includes iSpy and a matching game, both that can be done independently. Laminate them for added longevity. Football and fall just go together. This one is for the older crowd if you want them to be able to really assemble the field correctly, and it great ‘tens counting’ practice. However, my younger ones like to just put the sticks together with the end zones on the end and that works for them. Enjoy your fall busy bags! 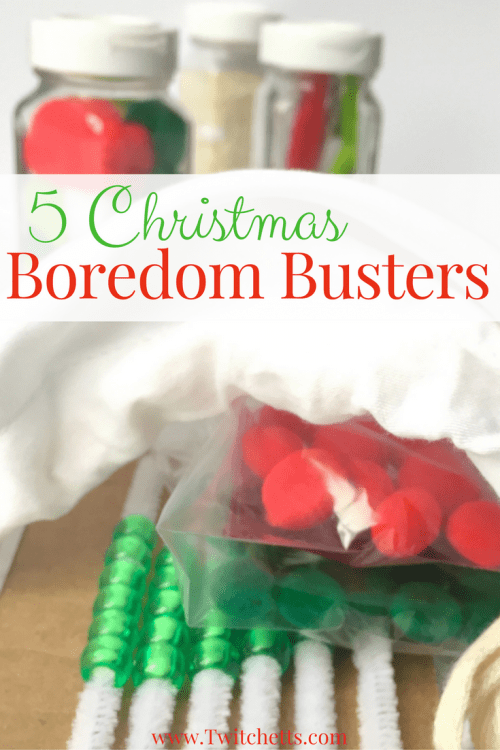 and some Christmas boredom busters too that you can use as busy bags!